If you have watched any of the television home renov ation shows recently, you know the popularity of wooden interior sliding doors. They are the hottest thing in interior design right now. 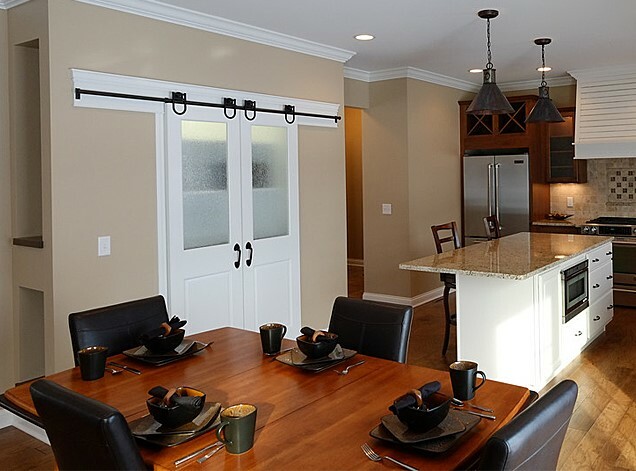 These decorative doors are surface mounted doors that operate using an upper rail system, and are exceptional for saving floor space in small areas. 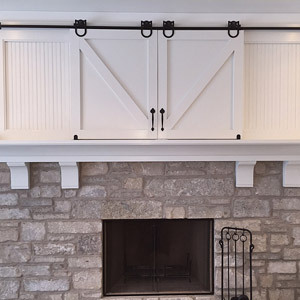 They can feature any style door from barn style to more formal. 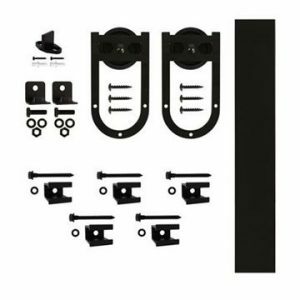 Van Dyke’s Retorers offers a wide selection of hardware and hardware kits for building and installing these beautiful doors. The Quiet Glide door system uses nylon rollers for smooth, quiet opening and closing. Choose from several decorative strap designs including horse, horseshoe, fleur-de-lis, gingerbread, spade, round, square, and more. 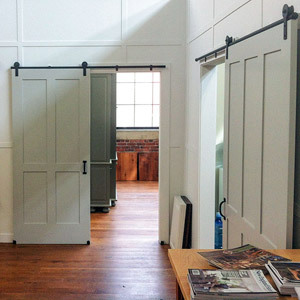 Use your own door, or select our popular barn door. We also offer rails, brackets, and finials so you can customize your door anyway you desire. Doors knobs and pulls are sold separately. Customize your door with decorative clavos and nails, and our wide selection of straps and dcorative hinges. Use these eye-catching sliding doors as you would any door – on closets, kitchen pantries, between rooms, to hide wall televisions – the uses are endless! 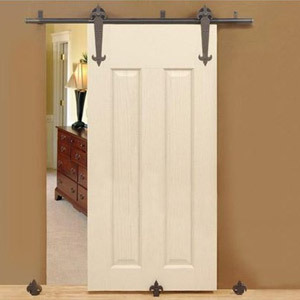 The affordable, easy-to-install sliding door kits are just the thing to update the look of your home.